From this address, we are encouraged to acknowledge the influx of stimuli received on a daily basis, much of which is presented aggressively, and to take time to silently contemplate the things communicated to us. If this is done sincerely, the act of silence is seen, not as an absence of communication, but an integral part of it. So often it is in silent contemplation where our future actions are discerned and clarified. An example of this can be seen in this past Sunday’s gospel (Mk 1:29-39), where Jesus gets up early in the morning and goes off by himself to a deserted place to pray. When his disciples finally find him and tell him that everyone in town is looking for him, he replies, “Let us go on to the neighboring towns, so that I may proclaim the message there also; for that is what I came out to do.” Jesus, like all of us, had to discern his mission, and found the strength and courage to do so in silence. But there is another form of silence that is important to note here because of its compelling and compulsory nature; I mean the shattering silence that for a moment makes our world stand still, and sometimes changes it forever. This past week I read an article in the National Catholic Reporter by Desmond Fisher about the horror among the Curia when in 1959 Pope John XXIII announced his intention to call an ecumenical council. The reaction of the pope’s closest advisors is unforgettable: as John recalled, “There was a devout and impressive silence.” No one could have foreseen that event, the ramifications of which would change the course of history (and will continue to do so). And in such a moment, given the context of the time, what words were possible? Barring judgment, the utter silence of the Curia spoke for itself. Take another example. When in 1534 King Henry VIII pushed the Act of Supremacy through parliament, rejecting papal authority and declaring himself the supreme head of the Church in England, there were few protests from among the bureaucracy. But the Lord Chancellor, Thomas More, known in his time as a man of great dignity, refrained from taking the official oath which acknowledged the validity of the Act, and invoked the legal tenet that “silence presumes consent.” Every government and church official knew More’s position on the matter. What other means of communication but silence could have resounded through the realm with such magnitude? It would take a political careerist to perjure himself before a high council for Henry to elicit the necessary “evidence” to condemn More, and he was executed for high treason on July 6, 1535, in his own words, “the king’s good servant, but God’s first.” To this day Thomas More is revered for his strength of conscience and steadfastness against the whims of a self-interested king. But perhaps the greatest example comes from the story of the greatest event; namely, the resurrection of Jesus. If we study the ending of Mark’s gospel – the earliest of the four – we are struck by an abrupt halt to the story. What is called “The Longer Ending” (Mk 16:9-20) is absent from our earliest manuscripts, suggesting one of two things: either it was lost, or it was never there. In the latter case, it may be presumed that early on (around the beginning of the second century) the Church “completed” Mark’s account for its own pastoral and doctrinal reasons. But if we read the gospel as it ends at 16:8, we are presented once again with a profound silence. The women who came to the tomb to anoint the body are met by a young man who tells them that Jesus has been raised and is going ahead of them to Galilee. 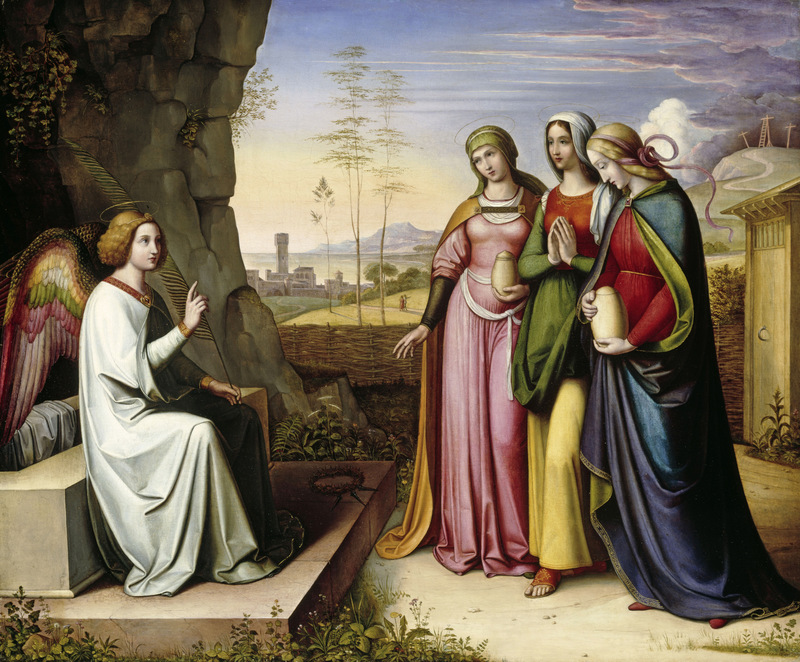 We are told that the women flee the tomb immediately, and with trembling and bewilderment say nothing to anyone – silence. Can there be any other reaction? What use are words at such a moment? When we struggle to incorporate silence into our lives it might be useful to read Mark’s passion account. It is imperative that we are reminded of that moment at the tomb on a daily basis, which is really the central moment of the whole Faith. If nothing else, doesn’t a mere thought of the resurrection turn that influx of stimuli to dust? It is worth pondering, in silence.